Enactus is a world-wide organization present in 36 different countries, which stands for entrepreneurs in action. Our worldwide purpose is to enable progress through entrepreneurial action. 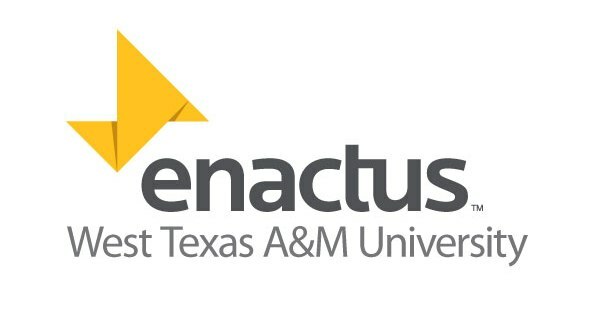 Your WT Enactus team has been doing just that for over 20 years. As a Paul and Virginia Engler College of Business organization, we pride ourselves on our ability to utilize our business, finance, and marketing skills in our multiple projects that empower others in our community in different ways. We help a variety of different people, from young to old, and our efforts have definitely made a difference. As members of Enactus USA, we are able to utilize the Enactus career marketplace and the career fair to search for internships and jobs with companies specifically seeking Enactus members. Our WT Enactus team has a long-standing tradition of competing at the national level. Each year, we present our projects and team accomplishments at the Enactus National Competition, where Enactus teams from across the country come together to compete for a spot in the final four and advancement to Enactus World Cup. Going to Nationals is just one of the many great things Enactus gets to do. We are open to all majors and interested students who are looking to broaden their experiences outside of the classroom. If you’re looking to join a great organization with a winning tradition, a knack for helping others, and have a lot of fun while doing it, then Enactus is the place for you. Please join us for our recruiting meeting in early September 2nd! How Do I Contact Enactus?